FSC Certification of Veracel: A turning point or business as usual? For over a decade WRM has been gathering, producing and disseminating information and analysis on the social and environmental impacts of fast wood plantations, characterized as large-scale, fast-growth tree monocultures. At the same time, we have been stressing that such plantations should not be certified, focusing on the Forest Stewardship Council (FSC), this being the scheme certifying most of such plantations. In spite of having launched in September 2004 a plantation certification review, the FSC has continued to certify fast wood plantations, thus undermining its own credibility and weakening local struggles against plantations. The Working Group established to study the issue presented its final report to the FSC Board in October 2006, but nothing seems to have changed since and the FSC has continued to certify uncertifiable fast wood plantations. Within this context, the FSC-accredited firm SGS started to carry out the certification process of a company -Veracel Celulose- with a long and well-documented history of negative social and environmental impacts in Bahia, Brazil (see article below). The news about the possible certification of Veracel resulted in strong reactions by numerous organizations from Bahia and other parts of Brazil, that have been for years suffering the impacts and campaigning against these and other fast wood plantations. Although they were never formally “consulted” by SGS, they managed to make their voices heard. The letter added that “such visit will provide you with a better understanding on why certification of plantations such as these is being opposed by so many organizations throughout the world and why the FSC looses credibility every time plantations like those of Veracel are FSC certified”. The case of Veracel’s plantations is absolutely clear and well documented. 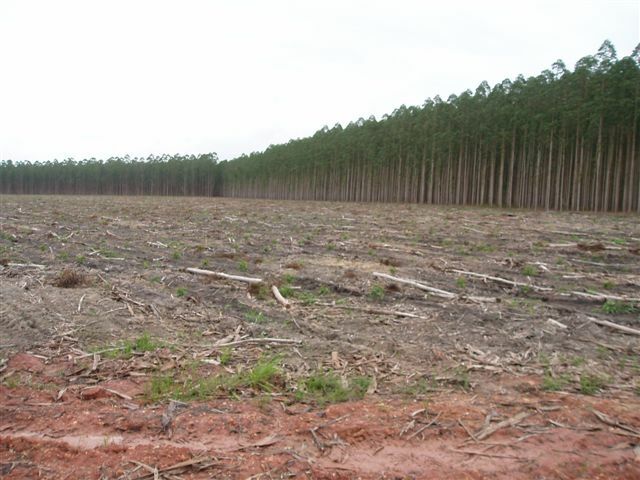 In no way can these plantations be considered to be an “environmentally appropriate, socially beneficial, and economically viable management of the world’s forests”, and their certification would clearly violate the FSC mandate. Local people -the true stakeholders- are there to prove this to whoever is willing to ask them their opinion. But it is also important to stress that Veracel is but a drop within a sea of millions of hectares of fast wood plantations already FSC-certified by SGS, SCS, Smartwood and other certification firms, that have made a mockery of the FSC system, through “consultation” processes that never consulted the true stakeholders and whose evaluations never took into account the full extent of the social and environmental impacts of such plantations. Veracel must clearly not receive FSC certification, but at the same time it is essential that the FSC cease to certify fast wood plantations and that it begins to de-certify a large number of plantations that should have never received the FSC label. Only then will the FSC be able to comply with its own mandate. 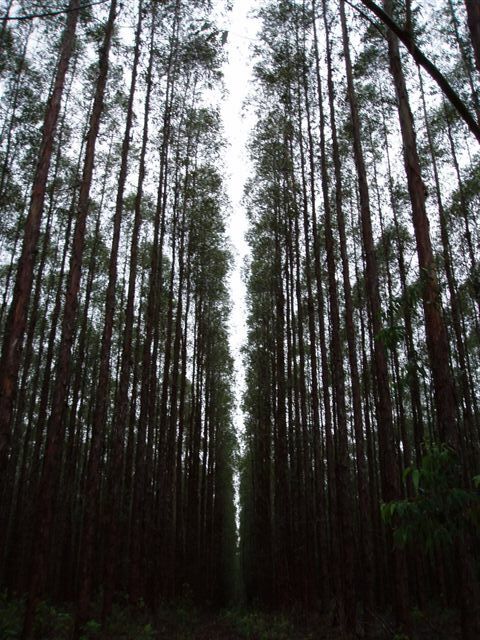 Veracel Celulose – a joint venture between the Swedish-Finnish company Stora Enso and the Norwegian-Brazilian company Aracruz Celulose – has launched a process to obtain FSC certification for its eucalyptus plantations in the extreme south of the State of Bahia. For this purpose, it has hired the consulting firm SGS. This has led to a strong reaction on the part of over 300 Brazilian and international organizations that on 14 August sent a letter to FSC and SGS (available at:http://www.wrm.org.uy/countries/Brazil/Letter_Veracel.html) denouncing Veracel, contesting the process and demanding that certification should not be granted. Among other damages denounced the letter refers to the problem with water which is being affected by Veracel’s monoculture tree plantations both in quantity and quality, and the company’s contribution to the migration of the rural population. The organizations signing the letter sent on 14 August also contest the process for assessment and recognition carried out by the certifier company SGS. Contrary to what could be understood as a true consultation, the certifier did not duly contact the social organizations in the area that are actively involved in the problems caused by Veracel. On the morning of 23 July it made a phone call to the well-known organization CEPEDES to tell them that they would only be available that day or the following day to hold a meeting with the Extreme South Socio-Environmental Forum. The lack of time prevented the meeting from taking place because the organizations already had prior engagements. And, as is denounced in the letter, various organizations were not even aware of the process. The scant organizations – members of the Socio-Environmental Forum of the Extreme South – that did receive a form to be answered, sent a letter to SGS requesting a meeting and inviting it to a field visit together with organized civil society organizations that have been operating in the area for many years, as the auditors sent by the certifier were not from the region and did not know the Extreme South of Bahia. But SGS did not address this request. It is also denounced that the auditors only dedicated five days for the field assessment in the ten localities comprised in the area where the company carries out its activities, which comprises a total area of 1,421,773 km2. Something which is humanly impossible! He also reported that this information had been sent to the certifying body accredited by FSC – that assesses whether Veracel complies with FSC standards – and to Accreditation Services International (ASI) that is responsible for accrediting and supervising certifying bodies – in this case SGS. Finally, Liedeker invited the organizations to continue sending information and expressing their concerns to FSC authorities. The process continues. Those who should be listened to have raised their voices and made themselves heard by getting organized and by mobilizing. The inhabitants of the Extreme South of Bahia continue to be alert, in the expectation that FSC will say what needs to be said vis-à-vis Veracel’s “fast wood” plantations: that their certification is impossible. The Movement of Landless Rural Workers – MST – defends the granting of Brazilian land to Brazilian workers and not to companies such as Veracel that take over our natural resources, exploit our work force and send their profits outside Brazil. “We need to plant food to feed our people,” says Cabacinha, a member of the MST. For him it is shameful that a region such as this, with so much natural wealth and with a climate suited to agriculture, has so many people going hungry. “The advance of eucalyptus plantations is evicting small farmers because of the pressure of agribusiness or because of isolation in the middle of the green desert,” says Evanildo Costa, a member of the state board of directors of MST. The rate of progress of eucalyptus plantations in the southern region of Bahia by Veracel Celulose, is causing a lot of concern, affirm the representatives of CIMI, southern region, the Land Pastoral Commission, the Centre for Studies and Social Action, the Movement of Landless Workers, the Cedula de la Tierra – Sur, Peasant Youth and Tupinamba indians. It has been observed that the “plague” has already reached some villages in the southern region, damaging the sustenance of rural workers. “The land reform is being invalidated due to the lack of land in the extreme south and also in the southern region of Bahia,” we are told by Jairson, a member of the Farm Workers Federation (Fetag/Ba) and of the Rural Workers Trade Union. Organizations from the south and extreme south of Bahía have met in search for a regional undertaking in which rural and urban societies play the leading role and in which activities not only use economic rationality but also environmental and human rationality, compatible with the culture of the local population and social and environmental sustainability. For all these reasons, society is taking a very firm position: tree plantations are not FORESTS and should not be certified for the above mentioned reasons and because they directly and indirectly evict people from rural areas, mainly small farmers, causing a lack of food and an increase in the price of foodstuffs, they concentrate land in the hands of a few, leaving most of the people without an opportunity to gain their sustenance, they increase unemployment in rural areas, increase the number of unemployed families in belts surrounding the cities, increase violence and prostitution, that is to say, that plantations result in profound social, environmental and economic impacts.